Coming together with Sodalite on your Wish journey brings together the mind that you think with and your higher intuition. By bringing the two into alignment you are being guided to look beyond what you have wished for to what you truly want, and being reminded that you can have both. Mental confusion is calmed by its influence, creating space to allow new insights to come into your awareness. 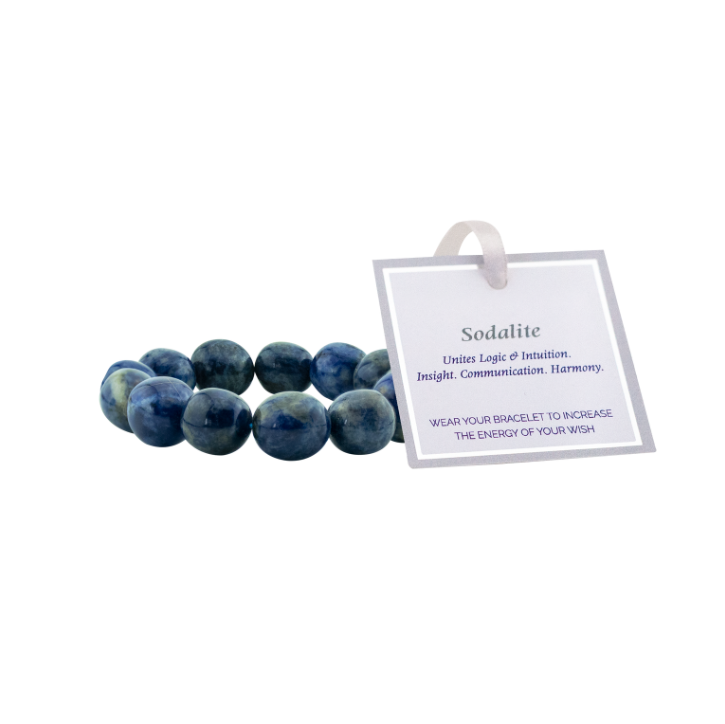 Sodalite brings the spotlight onto communication, reminding you to be honest with yourself, and others, when it comes to sharing what it is you want and need to make your Wish a reality. What is it that honestly needs to be communicated around your Wish? There may be more to your Wish than you realise. 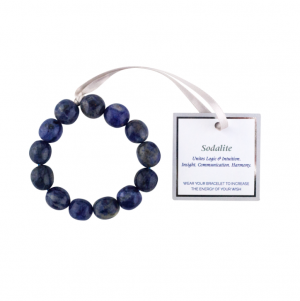 Sodalite helps you to work with others, bringing a new sense of harmony and camaraderie as well as fostering trust and interdependence. You are being reminded that you do not need to do this alone, and in fact, it is much easier when others are brought in to help. Unites Logic & Intuition. Insight. Communication. Harmony. Interaction. 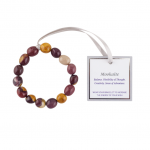 The Wish ~ Sodalite Bracelet is one size fits all and includes approximately 15 individual crystals.